It’s not every day that I come across a book that I absolutely swoon over, and today I’m sharing a brand new book that is making my artsy heart sing with delight. 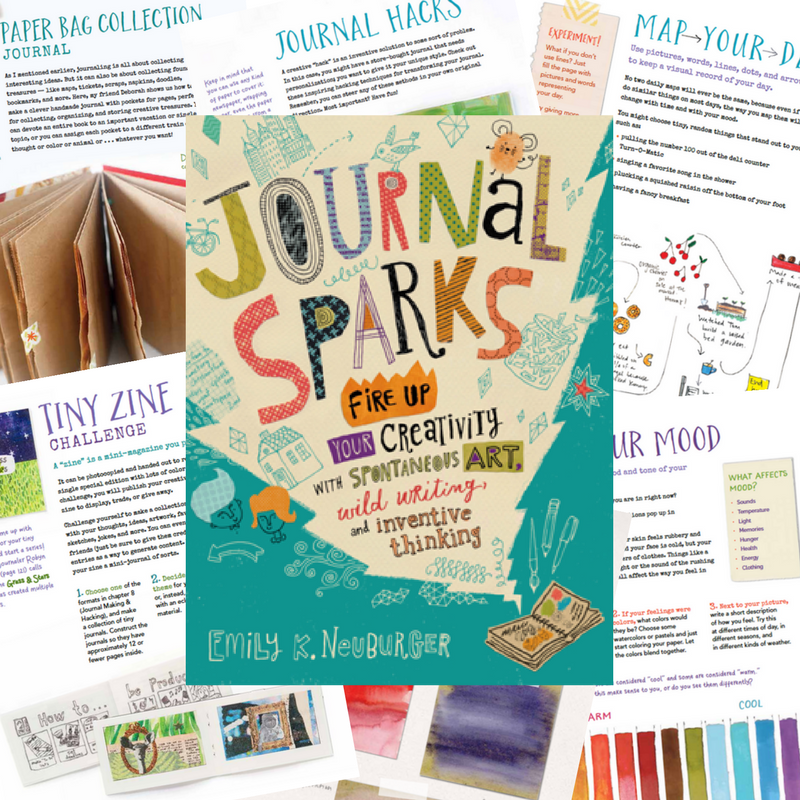 This happens to be the book launch day for Journal Sparks (happy birthday, Journal Sparks!! ), and you are in for a treat! 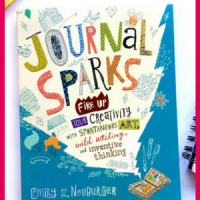 If you love art journals and creative prompts, if you’ve followed along with the TinkerSketch challenges, and if you are looking for creative ways to encourage and support creative thinking in your family life, Journal Sparks by Emily Neuburger has got to be added to your cart stat. Emily is the author of the award-winning Show Me a Story, and she has outdone herself with this newest book. 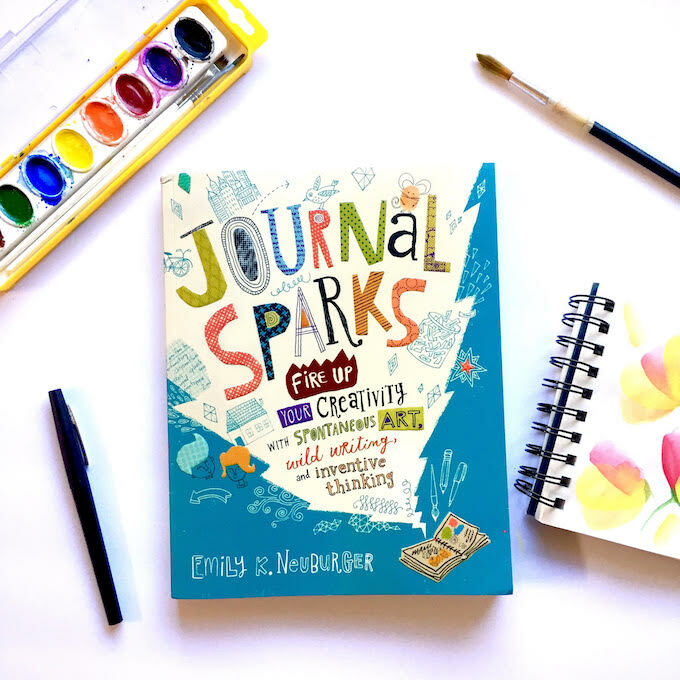 Journal Sparks has a childhood bent to it, but I personally found it full of inspiration and I think you’d be happy to own it as a kid or grown-up. I promise you will not be disappointed. 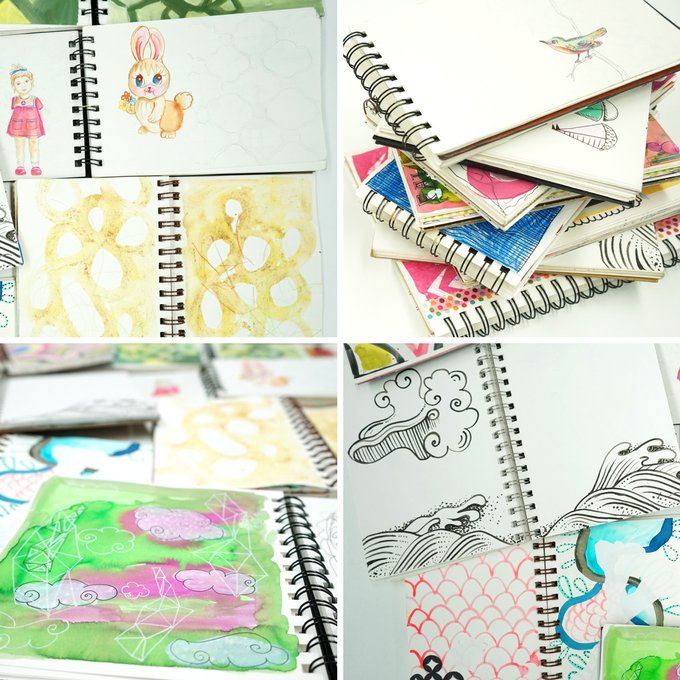 Let me first share my everlasting love for sketchbooks and journals. Like so many kids, I kept a diary when I was little. I wasn’t religious about it, but the habit of writing out my thoughts and documenting ideas was powerful and helped me through hard times. When I was in high school I discovered Julia Cameron’s famous, ground-breaking book, The Artist’s Way: A Spiritual Path to Higher Creativity. In her book, Cameron encourages you to keep what she calls “morning pages,” or three free-hand pages of stream of conscious writing each day. The process of writing without too much heavy thinking helped me tap into my dreams, and that’s when I started keeping sketchbooks of my ideas, experiments, musings, and even checklists. 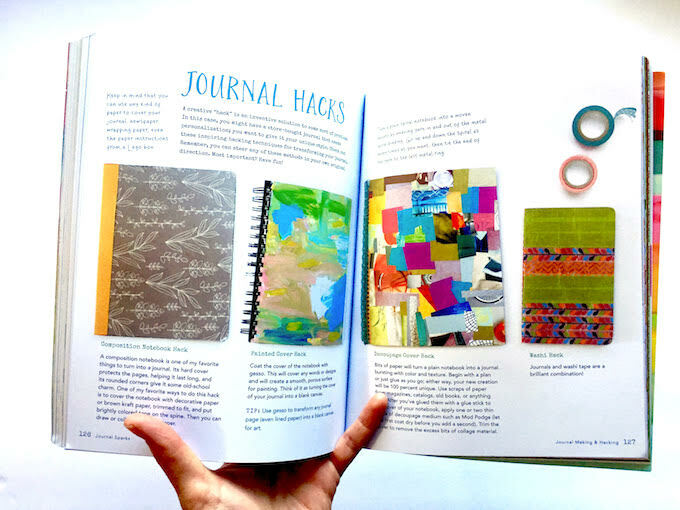 I pulled out a handful of these journals for this post – from grad school, collaborative journals with my kids, and recent books. I’m not married to one type of journal, but as you can see I do love spiral bound notebooks with heavy paper that can handle water and paint. 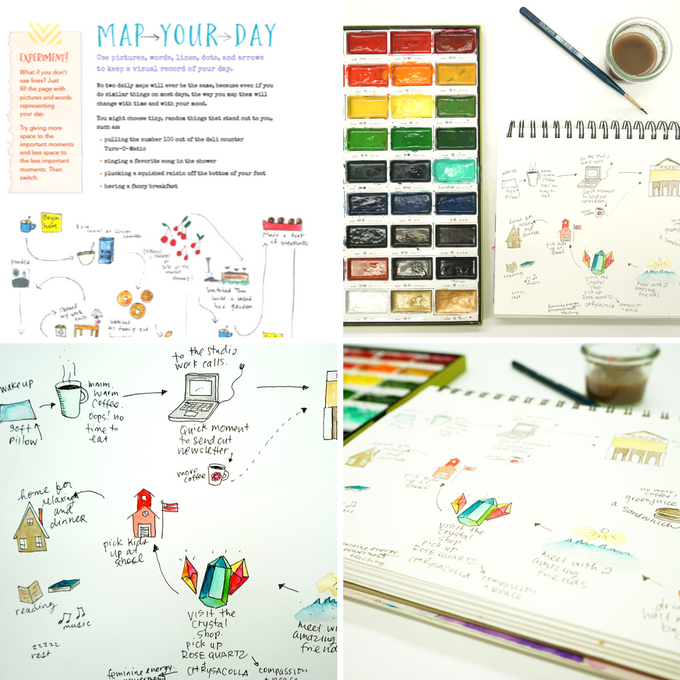 Strathmore visual journal is one that I continue to return to over and over again. In the moment, these journals are a safe place to drop inspiration and passing thoughts, and in hindsight they’re treasure-troves of data and ideas for future projects. This is all to say that I love keeping a visual journal, have been doing this for ages, and I am fully and completely inspired by Emily’s fresh take on this topic. I’ll share just a couple ideas from her book and would encourage you to pick up your own copy as it’s sure to inspire hours upon hours of fun, which could turn into transformative experiences for you, your family, or your students. 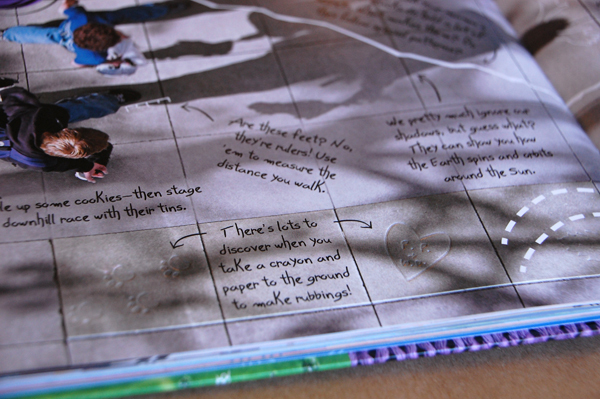 For this prompt, pull out your supplies and document your day with pictures and words. I set up my favorite Kuratake watercolor paints, Canson Mix Media Sketchbook, Micron waterproof pen, a brush, water, and a rag. This process is somewhat like keeping a daily written diary, but with images and just a few words. 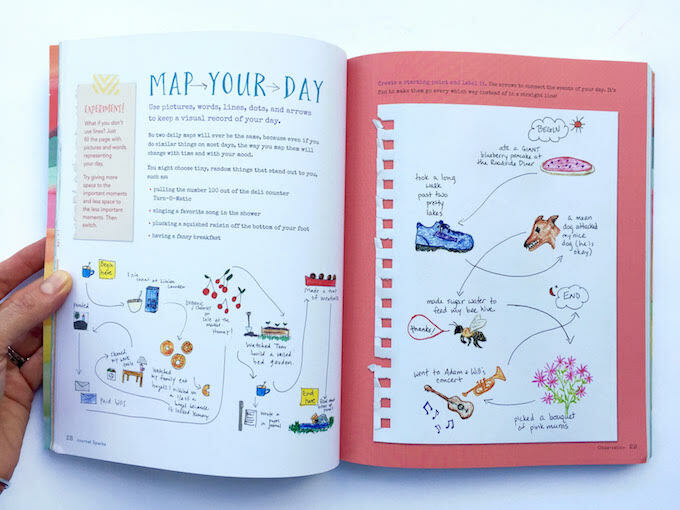 Pick the key moments of your day — illustrate them, and add arrows to connect one moment to another. I’ve never done this before and found the process fun, easy, and enlightening. It didn’t take long, I wasn’t too worried about making it perfect (despite sharing this here with you, the sketchbooks are just for me, after all), and seeing my day in pictures will be a joyful memory of a wonderful day. This process, again, is fun and easy, and I want to continue the practice over seasons to see how this evolves. 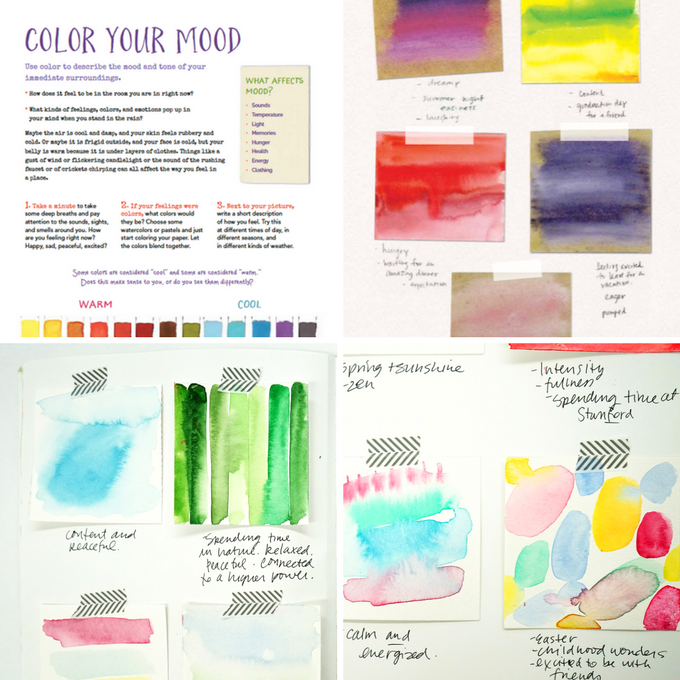 The process involves painting small snapshots of your emotions in color. This is a great exercise for anyone who feels like they can’t draw since illustration isn’t a requirement. 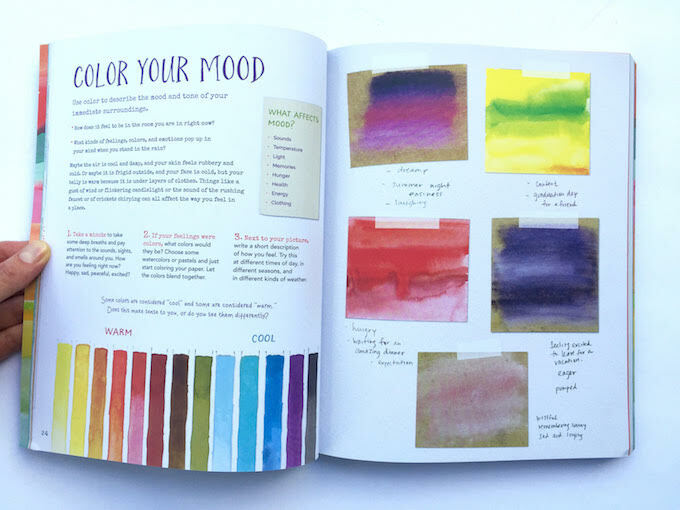 How I did it: I cut Canson Watercolor Paper into 3″ squares and then painted the emotion or feelings about the day in colors. One day was spent at Stanford where the school mascot is the Cardinal, and the day was full of energy. This day got a wash of red. Another day was spent in nature: Tall green stripes. I taped the mood squares into a large journal and added a few thoughts about the day. These will be so fun to look back on as brief snapshots in time. Click over to Amazon to click inside the book (my favorite feature) and learn more. 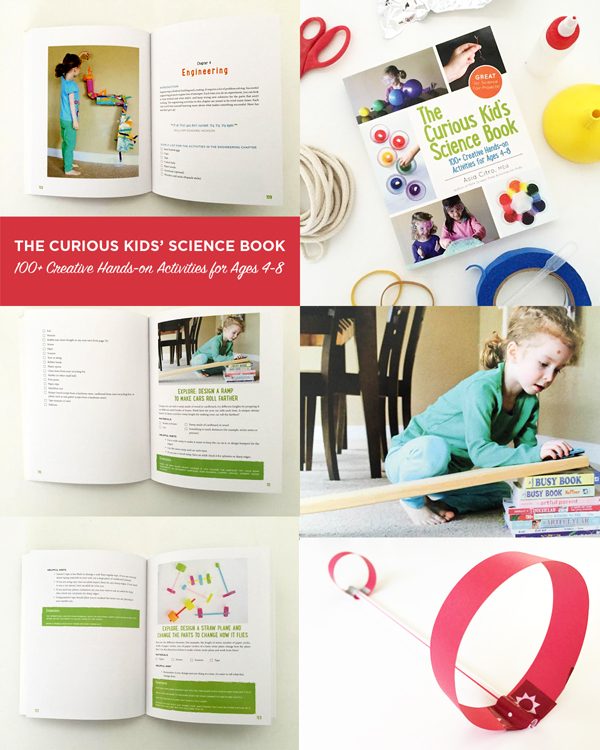 My friend, Asia Citro, author of 150+ Screen-Free Activities for Kids, has released a new book: The Curious Kids’ Science Book: 100+ Creative Hands-on Activities for Ages 4-8. The book is filled with all sorts of science projects that cover topics from environmental science to living things, and then there’s my favorite section that gets into making and tinkering: Engineering. When I opened the book I was tickled to see that her daughter set up her ramp-building project on a pile of books, and the TinkerLab Book is smack-dab in the middle of the pile! If you’re a parent who’s looking for hands-on creative activities, have a young child who’s curious about how the world works, or want to raise your child to think like a scientist, this book is for you! 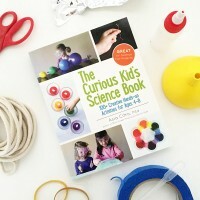 The Curious Kids’ Science Book does a wonderful job encouraging children to really think like scientists through the processes of making guesses, testing hypothesis, iteration, and experimentation. To learn more about this 5-star book (it’s killing it on Amazon), click here. 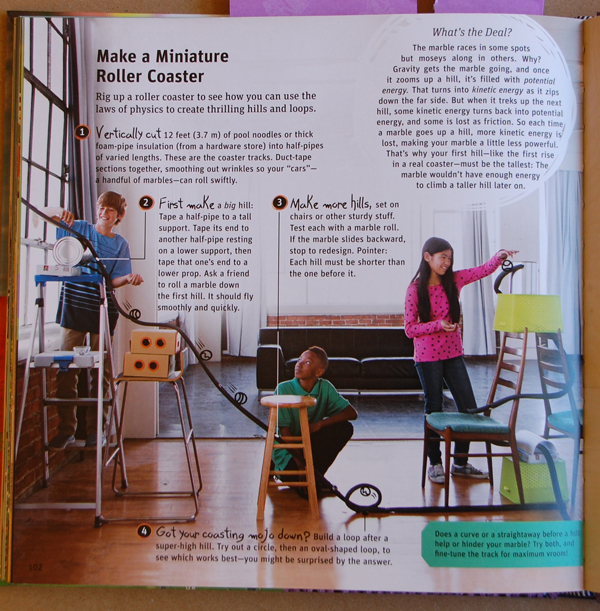 There’s a meaty engineering chapter in The Curious Kids’ Science Book, and we tried the project on page 123: Design a Straw Plane and Change the Parts to Change How it Flies. 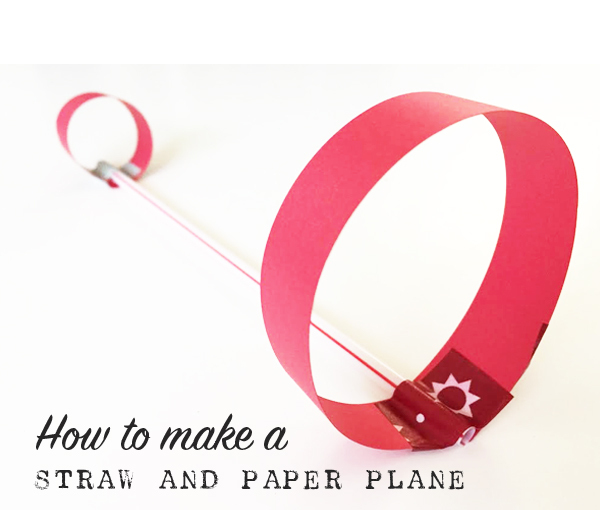 If you’d like to see how you, too can make straw and paper airplanes, click here. 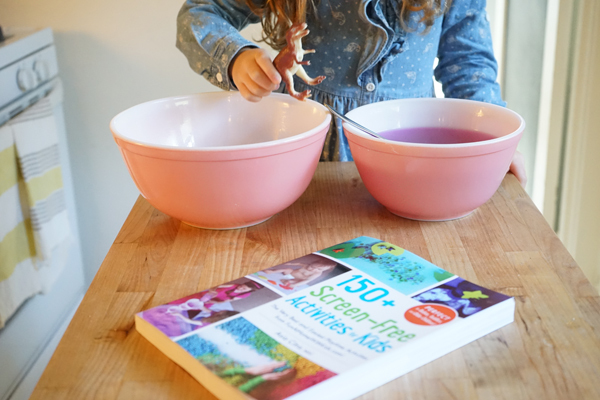 And if you’d like to see my review of 150+ Screen-free Activities for Kids, click here. 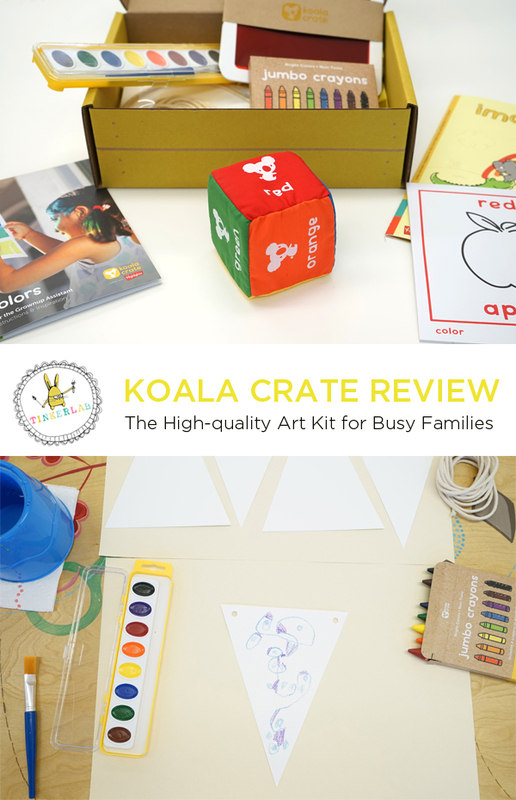 Koala Crate is one of the newest products from the Kiwi Crate brand, and I’m delighted to share our experience here with you today. I’ve been involved with Kiwi Crate since its early days, and man-o-man, this company keeps getting better and better. Kiwi Crate is offering a VERY generous Black Friday sale that continues through Friday, but more on that in a sec. 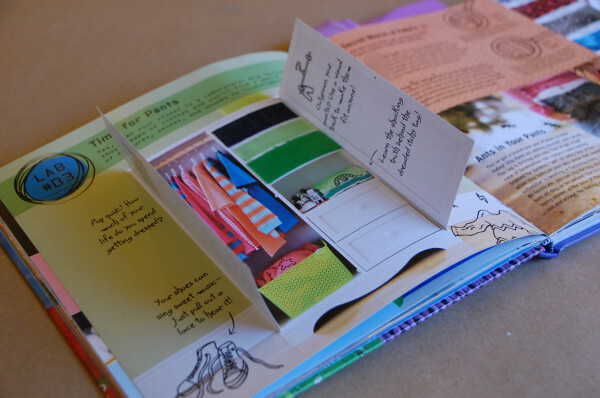 For the uninitiated, Kiwi Crate sends thoughtfully curated projects to your mailbox each month. Their products are perfect for busy families, as you don’t have to drive all over creation to find all the supplies you need to pull of these creativity-boosting projects. I’m keen on visiting the art and crafts stores on a weekly basis, but the convenience of having everything organized in one spot even appeals to me. As we’ve already tested Kiwi Crate here and here, today I’m sharing a peek at the other three crates. Aren’t they gorgeous? 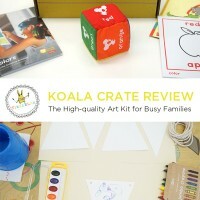 As I have a 4-year old, we were very excited to try our hand at the Koala Crate, and it didn’t disappoint. 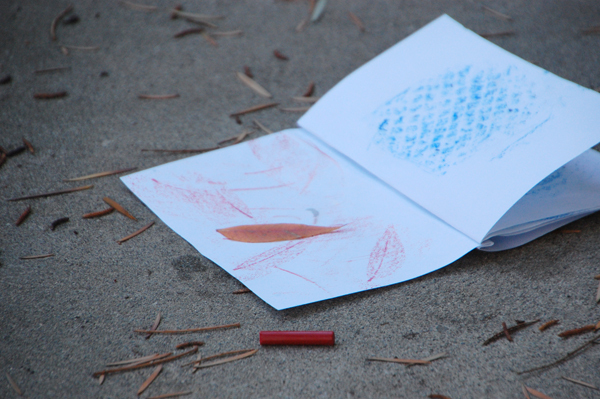 The theme of the crate was color, and we first dove into the color toss activity. My little on knows all of her colors, and I especially loved how the physicality of this project gave her a new perspective on color. 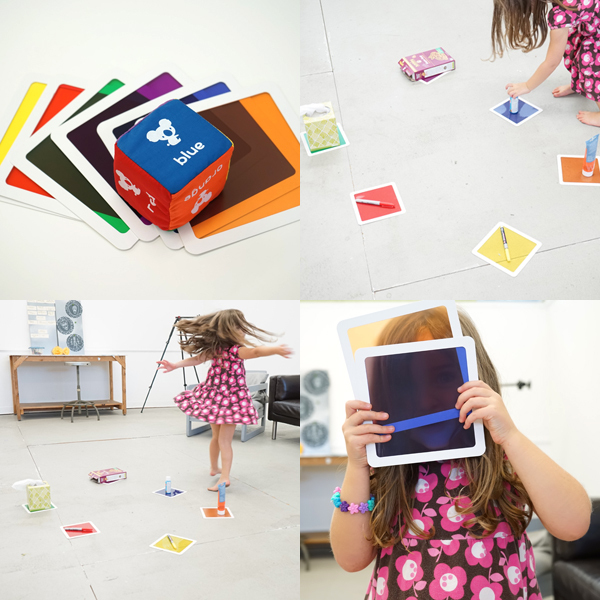 She place the transparent color blocks on the ground, tossed the dice to see which color was up for investigating, and then collected objects from the studio to match the colors. So much fun! Of course, I could probably do something like this on my own by cutting out colored paper and making a paper dice, but the high quality materials from Koala Crate really brought this activity to life. Following that, we set up the watercolor bunting project. 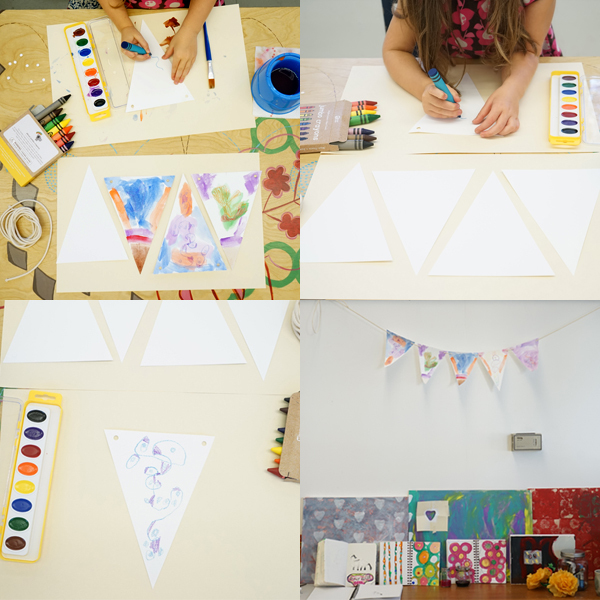 The kit provided us with heavy watercolor paper precut into triangles, a new set of watercolors (always welcome, as we race through these pretty quickly), fat crayons for little hands, and string for hanging the bunting. Miss 4 drew on the triangles, and then washed over them with watercolors. We then hung the bunting up as one of our first decorations in the new studio. Hooray! 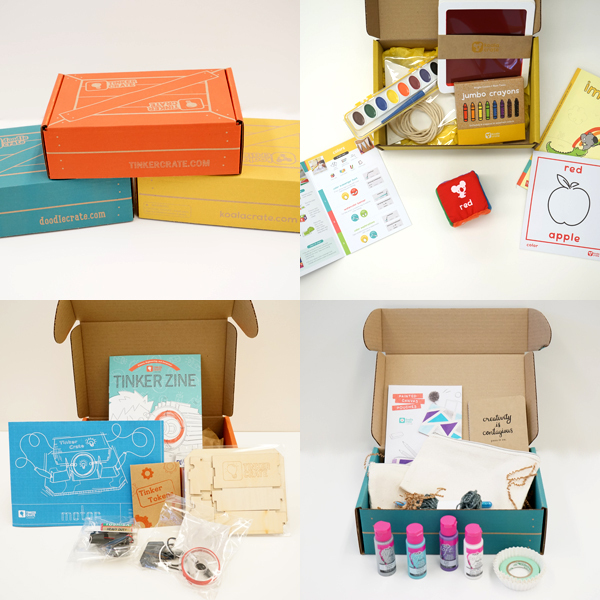 Tinker Crate is a little advanced for my kids, but as I looked over the provided materials, I know that older children would love the opportunity to build the machines and other engineering marvels that are included with each crate. And while she’s not in the recommended age group for Doodle Crate, my 6-year old is VERY excited to dive into that crate (and frankly, I am too!). When my friend Marcie Chambers Cuff, author of This Book Was a Tree (Perigree, 2014) asked us if we’d like to join her virtual book tour we jumped at the chance. I’ve had her inspiring book for a few weeks now, and every time I flip through it I’m struck with a new slice of inspiration. 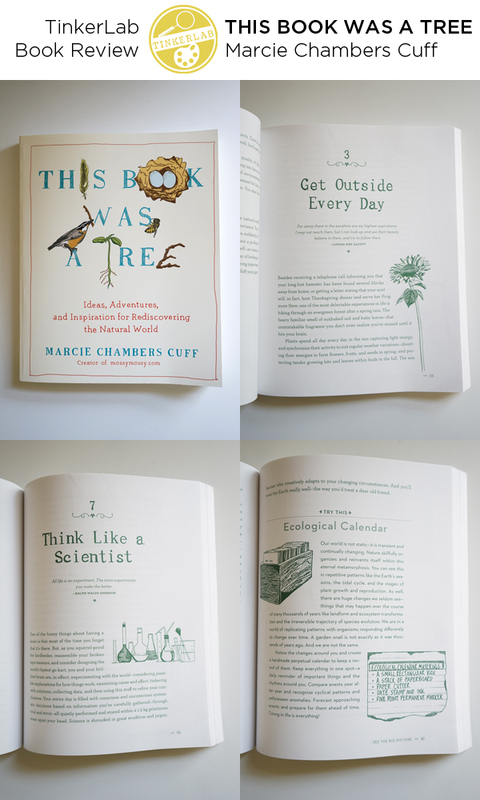 The book is packed with ideas on how to reconnect our digital, nature-deprived selves with the earth through hands-on making, journalling, adventuring, and playing outdoors. One of the first projects that caught my attention involved upcycling wool sweaters into felted flowers. 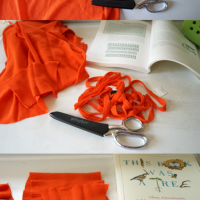 Felting old sweaters has long been on my to-do list, so when my friend Danielle recently gifted me the most gorgeous handmade felted cuff and belt I knew this would be the project to dive into first and learn how to do this myself. This book tour started on April 1, so if you’re on the fence about purchasing a copy today, scoot around and see what these amazing bloggers have to say about it. You didn’t really think we’d share this book without giving one away, did you? Be sure to subscribe to our newsletter and we’ll announce the giveaway in the next couple days. If you’re in NY, CT, TX, or PA, Marcie has some cool in-person events where you can learn how to felt wool, make seed bombs, and more. 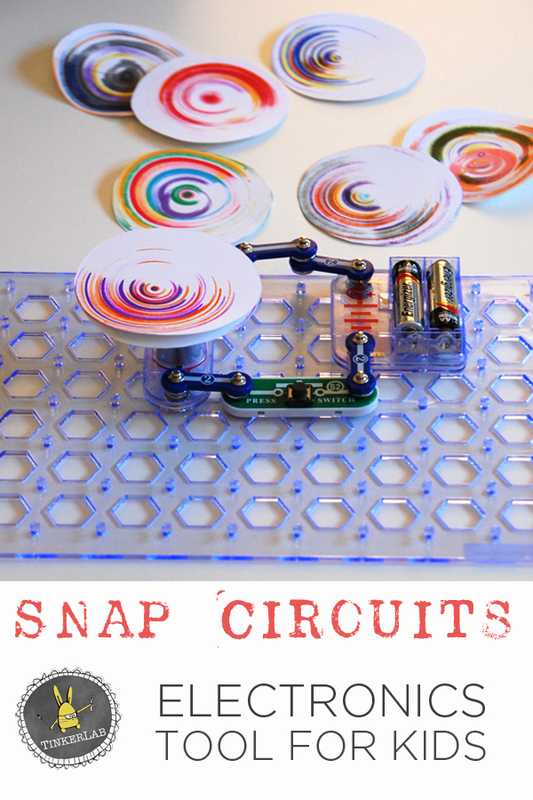 With Snap Circuits, those of us with no electronics background or understanding can easily build a light switch that works or a doorbell that rings. 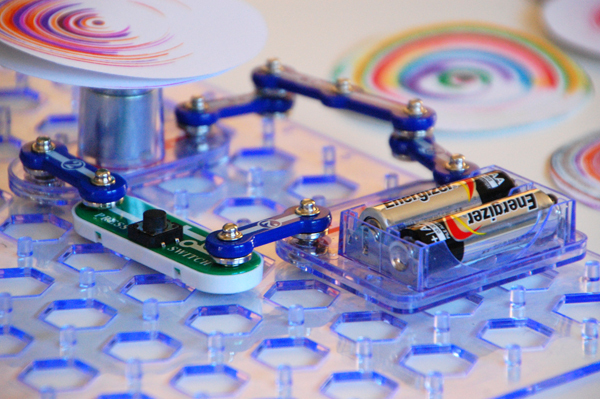 With a clever system of snaps that safely connect electronic components together, children will learn the basics of electricity and how to build all kinds of circuits. The instruction manual is easy to understand, and I noticed that after we were halfway through our first project together, my five-year old figured out how to finish the assembly on her own. While it’s designed for children ages eight and up, my three and five year olds enjoy using it with adult collaboration, and I know it’s a toy that they’ll grow with. What kind of toys should I buy? Is it a learning tool? 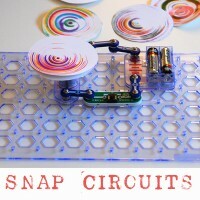 With Snap Circuits, children will learn about electronics and how to build a variety of circuits. Is it engaging and fun? If children are curious about making things and how things work, the process and rewards will be fun and motivating. Is it open-ended? While many of the projects have a specific outcome in mind, many of them have multiple end-points. The example I’ll share today is an example of this. 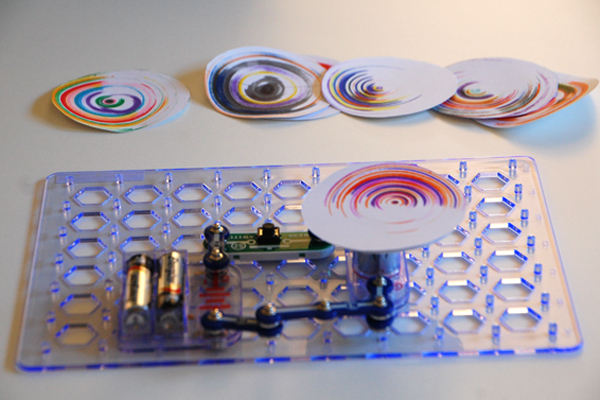 Making their own spin art machine captured my kids imaginations, and we assembled it in about ten minutes. The toy comes with a grid that’s fitted with little prongs. The electronic pieces then snap right onto those prongs, which hold them in place. Putting these together will remind you of playing with Legos. In fact, if your child enjoys Legos, these might be a natural extension for you. 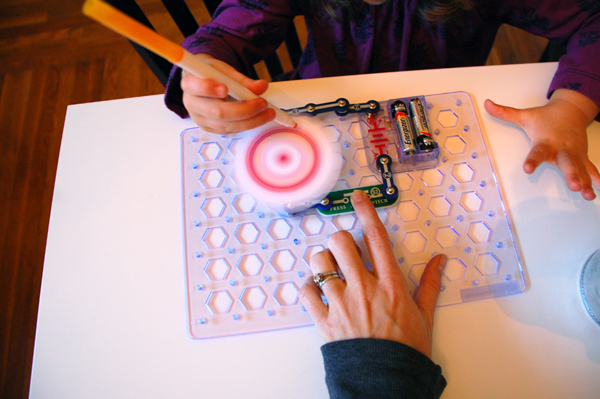 Snap Circuits doesn’t come with batteries, so if you buy this as a gift it’s something to keep in mind. If you don’t want to mess with replacing batteries over time, there’s a battery eliminator that people seem to be very satisfied with. One of the components in this circuit is a small motor, and we were instructed to attach a stiff, circular paper base to the motor with some tape. Next, with a piece of double-stick tape we added a second circle of paper on top of the first one. There a small on/off button on one side, so while one of us pushed the button, someone else got to use markers to add color to the spin art. We struggled a bit with centering our circle, but no one seemed to mind our off-center designs. My 3-year old is obsessed with rainbows at the moment, and she enjoyed documenting her rainbow colors in just the right order. I think they came out beautifully! After we played with it for a full hour, I was ready to disassemble it and store it away. But my kids saw this as a new toy, and wanted to keep it out. 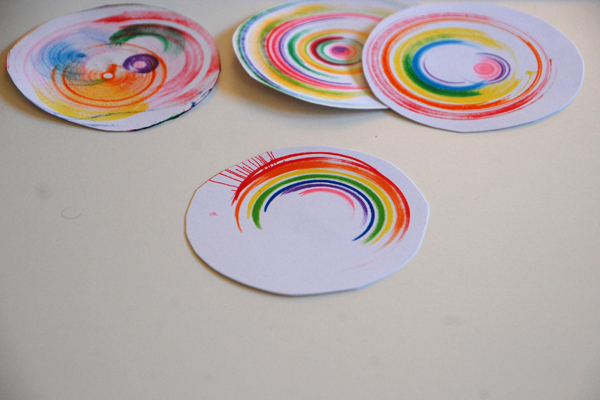 I complied, of course, and we made spin art for days! After two weeks we just broke it apart, and we’re now ready for another electronics challenge. What’s your favorite toy for inspiring creativity and curiosity? 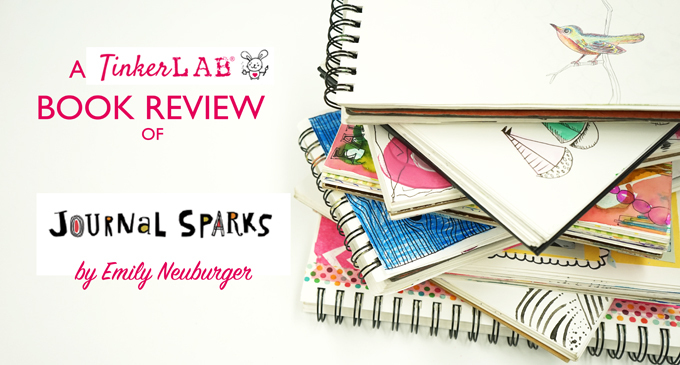 We were sent a free copy of Exploralab to review, but all ideas shared here are our own. This post contains Amazon affiliate links. 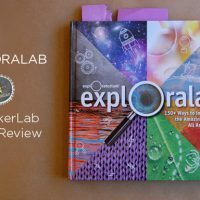 We were thrilled to get an advance copy of Exploralab by The Exploratorium (Weldon Owen, September 2013) to review for our readers. Do you know about the Exploratorium in San Francisco, or have you ever been? In a nutshell, the Exploratorium a wonder-filled interactive science and creativity center with ground-breaking exhibits that set the bar for many science museums around the world. If you’re an educator or homeschooler, the Exploratorium’s Educator pages are full of ideas that are sure to inspire, regardless of where you live. 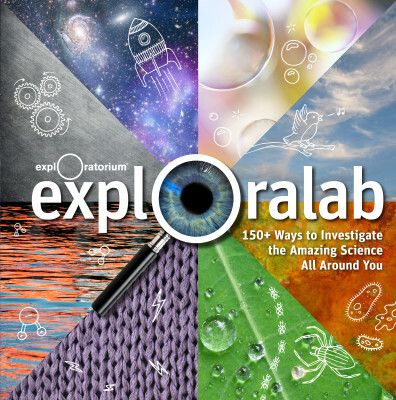 Related to that, if you’re a fan of the Exploratorium or would love to grab a piece of its magic, this new book, Exploralab: 150+ Ways to Investigate the Amazing Science All Around You, will transport you to San Francisco’s Pier 15 with its hands-on projects that encourage children explore science in their everyday world. The book is full of fun, easy-to-read science activities for parents, caregivers, and teachers to share with young children. 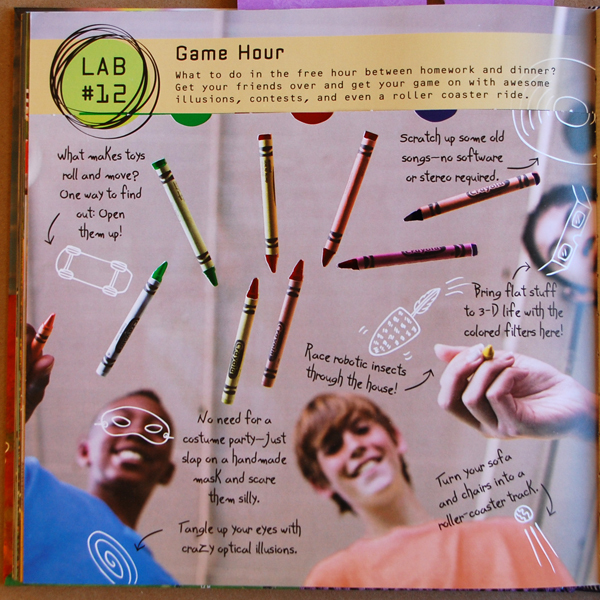 You’ll be happy to sit down, like we did, and flip through the pages with your child to select activities together. If you have an older child, you might like to gift them a copy to browse through when that “I’m bored” feeling settles in. 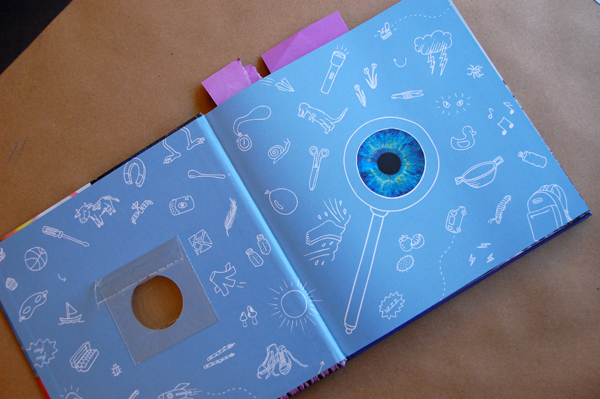 The projects are a delight in the way that they break down complex science into bite-size, digestible chunks. 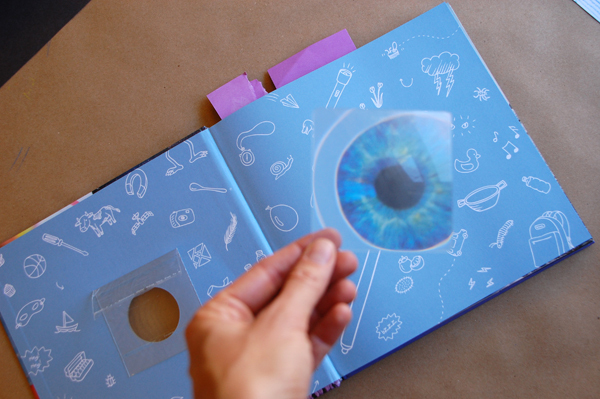 Something else about this book that I know a lot of our readers will appreciate is that the materials and tools are generally things you can easily find in your pantry: paper, pencils, glue, scissors, measuring spoons, etc. Cool! We’re off to a fun start! 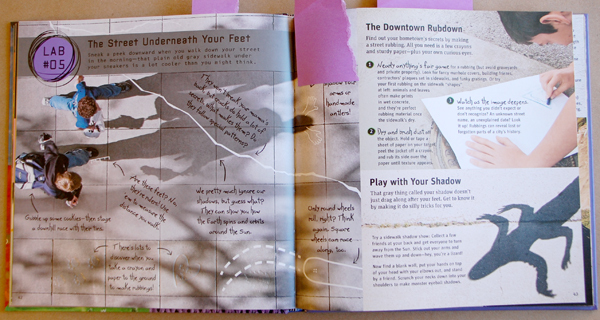 The inside of the cover really sets the tone for the rest of the book, as more interactive elements follow. My five-year old and I flipped through the pages and I asked her to pick a project that looked like fun. You can probably see that she tabbed more than one page. 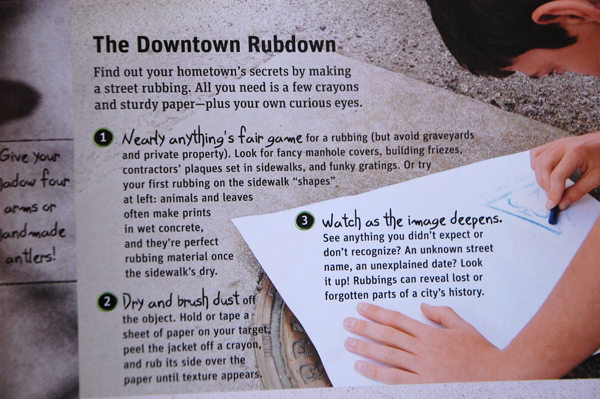 We decided to start with “Lab #05: The Street Underneath Your Feet.” Zoom in and you’ll see that this spread is full of ideas for engaging children in the science of the street. 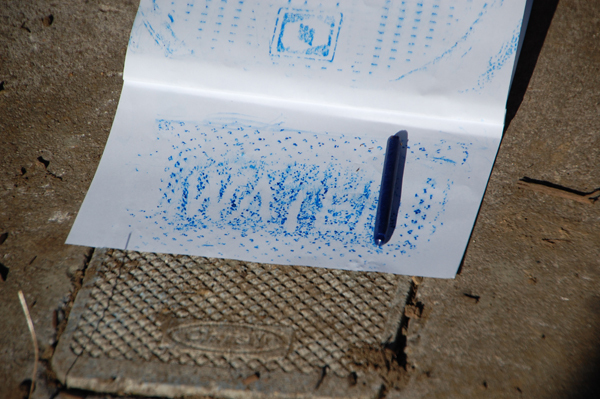 Ideas like using your feet as rulers to measure distance, studying shadows to understand more about how the earth spins, and making rubbings from found textures. This last idea is what we dug into. I really enjoyed the relief that’s set right into the book! Take a look at the bottom of this next picture and you’ll see what I’m talking about. What a clever idea. 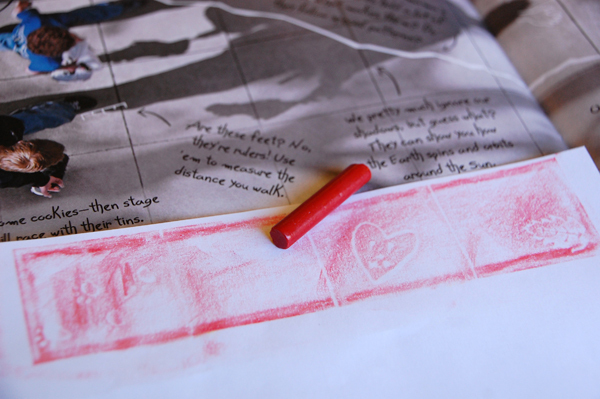 We ran our crayon right over the page to understand the project before hitting the streets. We made a simple book from four sheets of paper, stapled three times along the edge, and then took it outside to gather some manmade and natural textures. 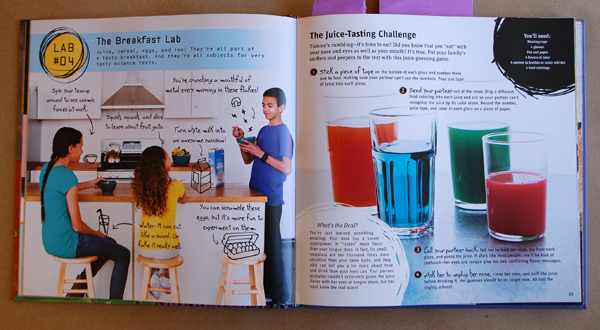 The next project my daughter plans to tackles is the Juice-Tasting Challenge, where you change the color of familiar drinks with food coloring and challenge people to guess what they’re drinking. The eyes and tongue send off conflicting flavor messages and we’re excited to see what will happen. 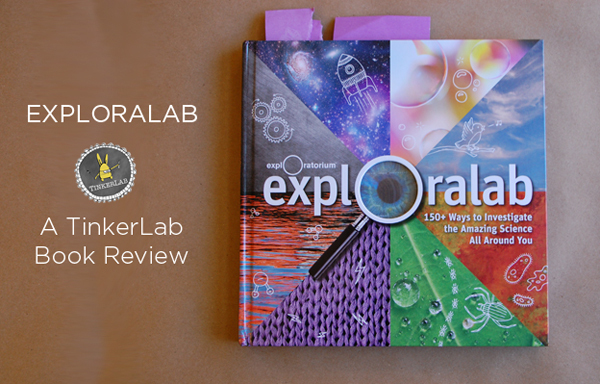 If this looks like it could be a good addition to your library, you can find your own copy of Exploralab through Amazon. We’re an affiliate, and your purchase helps keep our Tinker-engine running, so thank you! I was fortunate to hold my book launch party at Helix, a temporary outpost of The Exploratorium in Los Altos, CA. 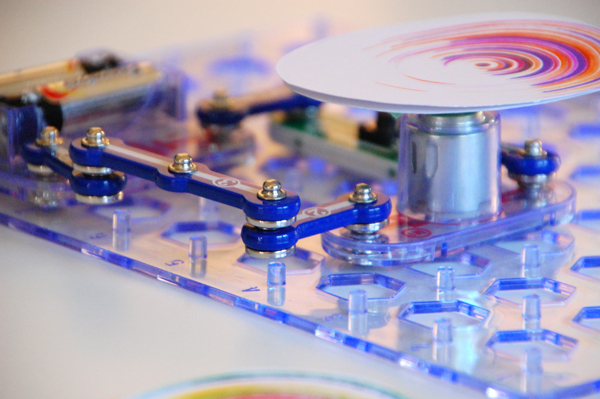 The Exploratorium’s Education page has a host of valuable resources for home tinkerers and educators. You can search part of their site for videos that explore all sorts of science + art phenomena.